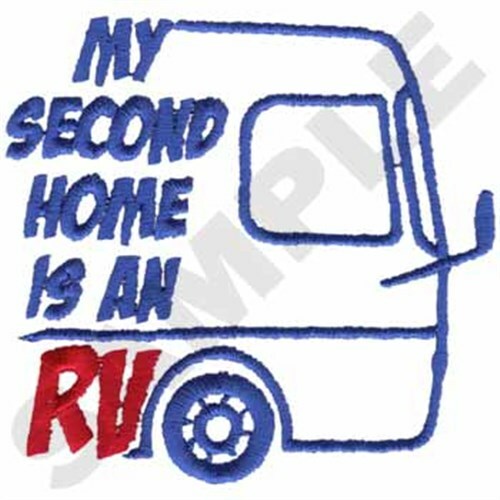 What a fun rv outline design with "my second home is an rv" text! Stitch this onto a cap or over the pocket on a polo for any camper! Dakota Collectibles is happy to present RV Outline machine embroidery design which has 5524 stitches and is [76.20 mm x 72.64 mm] large. If you would like to view more embroidery patterns please search on our embroidery designs page.